I currently have stock market alerts linked to my phone, so whenever a stock on my watch list has a big swing or meets my wanted price, I get an instant ping. This morning, right after 9:30 a.m., I got one of these alerts. Buzz, buzz! “SDRL down 15.97%” What a way to start the week! 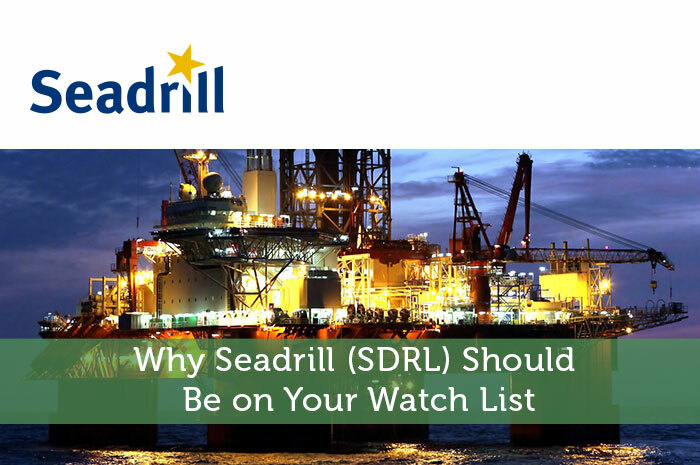 While I don’t own any Seadrill Ltd (SDRL) stock, I have been watching it. It’s up over 200% in the past two weeks, but still down 60% for the year. Seadrill is one of the world’s largest deepwater drilling services provider after being founded a mere eleven years ago. It has a fairly young fleet, which is a competitive advantage, but the company took on massive amounts of debt to build it. I first put SDRL on my list in October 2014, but didn’t buy because I was afraid of catching a falling knife. The all-time high was around $47, and my interest started piquing around the $24 mark. Well, the stock plummeted to $10, then to $5, then below $2. The stock broke $7 last Friday, but is now teetering around the $6 mark – yes, that’s still a 20% drop. What’s up with this stomach-churning volatility? Friday’s huge spike (the highest intra-day gain the stock’s ever experienced) was triggered by bailout speculation. John Fredriksen, Seadrill’s primary owner, freed up over $500 million in cash by unloading a piece of his stake in a Norwegian seafood company, which led to massive speculation and caused investors to cover their short bets. This is truly, as CNBC called it, “the mother of all short squeezes”. A short squeeze occurs when a heavily shorted stock has a sharp upward move, forcing short sellers to close out their short positions, adding upward pressure on the stock. A short squeeze is usually triggered by a positive development that suggests a turnaround, but at this point it is just speculation. Seadrill currently has a ton of debt, so if Fredriksen is really raising capital to inject into the company, it means big change, and it should give investors more confidence in the stock. They should be happy to know that the company’s founder wants to step in and keep the company afloat. At this point, it is pure speculation, so don’t be afraid if, in the short-term, SDRL slides again. My biggest concern is that the company has over $11 billion in debt. While large amounts of debt are common in this industry, it is still the highest among its peers. Its poor quick ratio of 0.73 illustrates the inability to avoid short-term cash problems. Further fundamental analysis uncovers a P/B ratio of 0.14. This indicates a significant discount, especially when compared to the S&P average of 2.62. In a statement from February, CEO Per Wullf said, “In the face of the severe downturn in our industry our priorities for 2016 are to conserve cash and address our financing needs.” If Fedriksen does get involved, it would help Seadrill cope with its disappointing return on equity and position itself for a recovery in the energy sector. Oil is an inherently cyclical business – it’s incredible how often this gets forgotten by investors. Oil prices have been doubling and halving ever since the modern oil industry was founded in 1859. Yet, when prices are high, forecasters claim they will rise further due to increased scarcity. When prices are low, they predict even lower because of oversupply. I said the oil business is cyclical; I am not saying it is predictable. The price per barrel peaked around $120-140 in 2008 and 2012. Not too many forecasters saw prices sinking back to less than $60 per barrel within a few years, but it happened on both occasions. In this scenario, with super low oil prices, no major forecaster seems to predict a sharp rise in prices. Is the same scenario playing out? I have been voraciously reading everything oil in the past year or so – I even wrote a post about Chevron here on Modest Money. Here’s how the oil industry works, in a nutshell: first, you have excess oil supplies, which results in low oil prices. Low oil prices stimulate higher demand, which grows faster than supply, causing prices to rise again. Higher oil prices make oil companies more money, so new oil companies are formed and existing companies take on debt and make big investments. Everything is fine and dandy until the higher prices curb the market’s oil appetite, and production begins to outpace demand growth. This leads to excess supplies, which takes us back to square one. The cycle is complete! In conclusion, I want to employ some second-level thinking about Seadrill; Seadrill’s modern fleet, while a major liability on the books, is its biggest asset because it will allow the company to outcompete all other drillers for contracts. During tough times, the shaky companies burn out or get swallowed whole (maybe they can make some acquisitions at great values). If oil recovers, and if Seadrill can keep its head above water, I see it having the potential to give triple digit returns within the next few years.